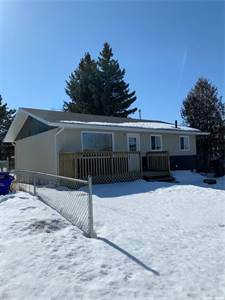 • 816 sqft , 2 bath , 3 bdrm bungalow – FOR SALE CAD211,900 . Move-in ready! Virtually everything has been updated, including: new paint, doors, windows, fixtures and flooring. New Cabinets in kitchen, back splash, hood fan, stainless appliances and newer sink/fixtures. Upgraded 4 piece bathrooms with new fixtures, both up and down. Large open family room in basement that’s fully developed. New shingles, facia, soffits and eaves. New HEE furnace, South facing backyard with chain-link along both sides and new front and side deck.